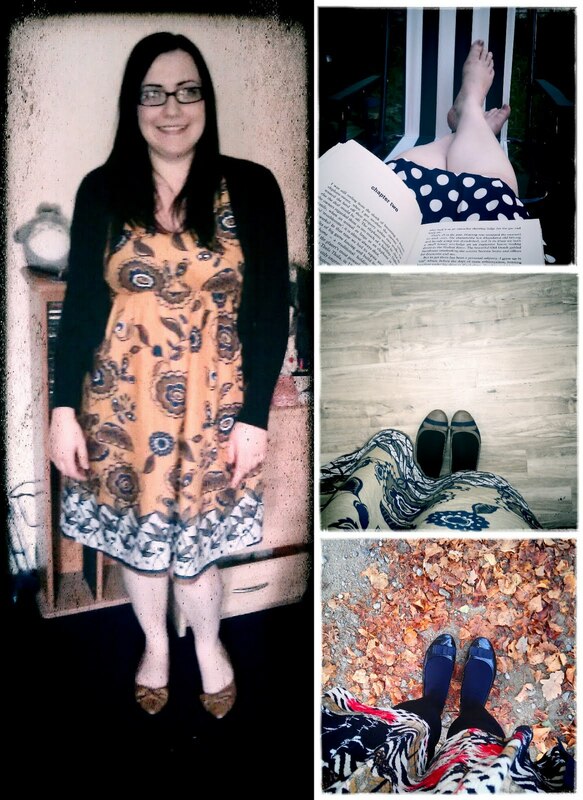 So here we are - a photo of me, in a dress, on my blog... haha. Those of you who know me well know that I am incredibly reluctant to wear dresses and skirts - I have no idea why and well, I just love my Gap jeans... (as seen here in what I normally wear...). But this month is different. This month is Frocktober in Australia. And my dear friend Anna from Much Love is raising funds for the Ovarian Cancer Research Foundation by wearing a dress every day throughout October. Isn't that such a great idea? And it's the kick up the bottom that I need to start breaking out of my usual, boring 'personal uniforms'. So to raise awareness for Anna and to encourage you all to pop over and support her cause, I'm going to try and wear a skirt or dress everyday through out this month too. I realise that this probably doesn't sound like a big deal to most people but this is a huge step for me. It's a massive leap out of my comfort zone and honestly, sat here at work(!) in my skirt I'm terrified lol but I'm going to try and make it through, even if I am wearing the same few skirts and dresses for a month. p.p.s. Cue awkward hands and feet photos for a month, hahaha. sorry about that.